May blessings and peace come your way during your family's trying time. Standard cross includes 85 stems. 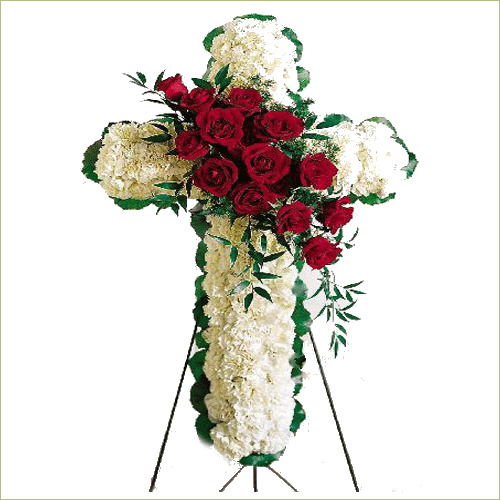 Deluxe cross includes 105 stems. Premium cross includes 125 stems.